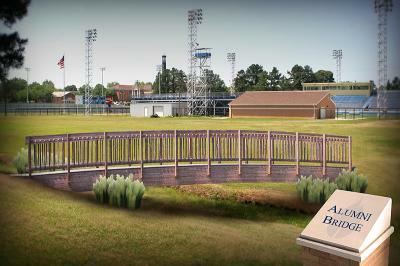 The Southern Arkansas Alumni Association is searching for donors whose generous gifts will make a bridge on campus a reality. The bridge will connect the Welcome Center area with the football field. The cost of the project is estimated at $50,000 and plans are for the bridge to be completed by the first football game of the fall 2009 said David Butler, a member of the SAU Alumni board and the coordinator for this project. Butler said it is anticipated that Unit Structure Company, a local manufacturing company, will be selected to work on the project. Alumni Director Ceil Bridges said a ceremony to honor the bridge will be held in conjunction with SAU’s centennial celebration.